Mike was born August 20, 1944 in Hamilton, Ohio to Robert and Marjorie (Grubbs) Kennedy. Mike worked at one time as a reserve deputy for Knox County and a Town Marshal for the City of Oaktown, Indiana. 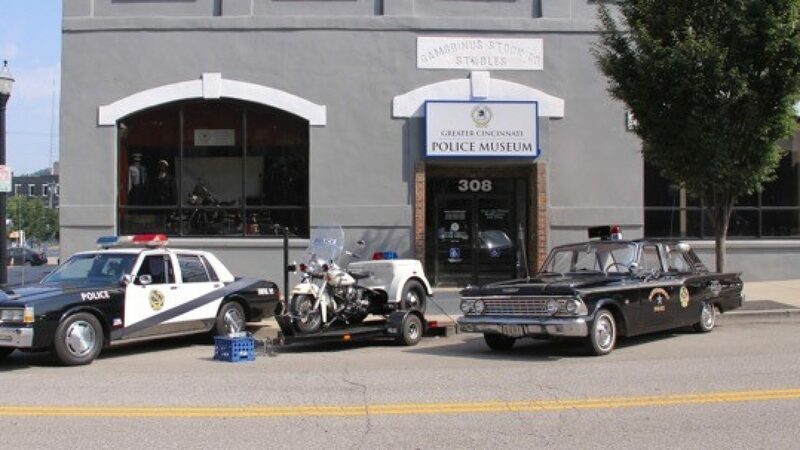 He joined the Lawrenceburg Police Department as a patrolman and, on August 1, 1969, was one of 99 students in the first graduating class of the Indiana Law Enforcement Academy. By 1971, he was promoted to Sergeant and by 1979 to Captain. He was promoted to Police Chef and served as such in 1981 and 1982. He retired with 26 years of law enforcement service. While serving in the Police Department, he was also a Lawrenceburg Volunteer Fireman, arson investigator, and certified fire instructor. After retiring from the Police Department, he took over as Chief of the Fire Department until at least 1989. Chief Kennedy was a member of the St. Lawrence Catholic Church, Lawrenceburg Eagles, and Knights of Columbus. He belonged to the Indiana Volunteer Fireman’s Association, Indiana Fire Instructors Association, and the Fraternal Order of Police. He also volunteered for the Salvation Army. Chief Kennedy passed away on Friday, February 8, 2019 at the age of 74. Chief Kennedy is survived by his wife of 54½ years, Elaine Ann (Dean) Kennedy; sons, Shawn (Sheila) Kennedy, Kevin (Lynne) Kennedy Sr., and Tim (Lisa) Kennedy; grandchildren, Colleen, Caitey, Tara, Michael, Kevin Jr., and Tyler; great-grandchildren, Caroline and Caleb’ and brother, Patrick (Pamela) Kennedy. Visitation will be held 5 to 8 p.m. on Tuesday, February 12, 2019 at Fitch-Denney Funeral Home in Greendale. A Mass of Christian Burial will be celebrated at 11 a.m. on Wednesday, February 13, 2019 at St. Lawrence Church with Father Ben Syberg officiating. Interment will follow in the Greendale Cemetery. Memorials may be made to the Knights of Columbus (Council 1231) or the Salvation Army.